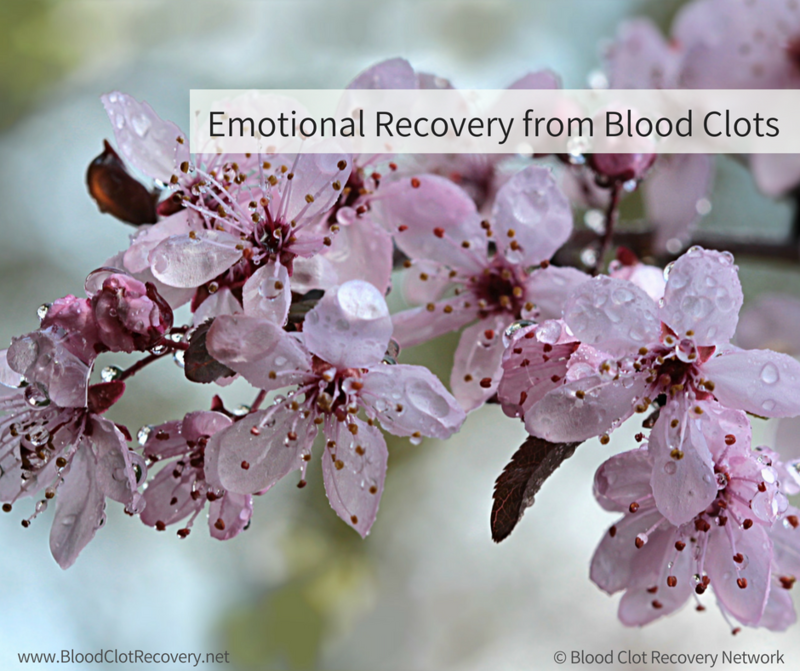 For as difficult as my physical recovery from blood clots was, the emotional recovery from blood clots was just as difficult, if not more difficult. Blood clots dramatically changed my life, it seems that no aspect of my life was left untouched by my experience. My relationships, my job, my self-esteem, and emotional well-being were all impacted. No one can tell you how to heal emotionally from blood clots, and no one can tell you how long the healing process will take. What I can tell you is that if you are struggling with anxiety, depression, anger, grief, and sadness after your blood clot, you are not alone. What you are feeling is very normal, and there is hope for healing. Below are my tools to help you deal with the emotional affects of blood clots – and lifestyle issues that often occur too – one step at a time.